Here is a list of all of our great sponsors for this year's festival. If you are interested in sponsoring the event please contact us. The Creative Industries iNet (Innovation Network) is a £3.2 million programme of support designed to help the South West's creative businesses thrive and advance the area's growing reputation as a global creative centre of excellence. Working with emerging and established companies, the iNet is developing bold products and business models, exploring new opportunities and ideas, and connecting creatives to a community of innovators across the region and around the world. The iNet is funded by the European Regional Development Fund and led by Creative England. Edge is relied on by both passionate gamers and industry professionals. Produced with incisive, intelligent writing, stunning design and a genuine love of gaming, it delivers unrivalled feature content, revealing interviews and the most trusted game reviews in the business, alongside the best recruitment and studio-focus sections both in print and online. The Interactive Systems Studio is a group of multi-disciplinary professionals who provide outstanding creative prototypes utilizing a diverse range of technologies. The Studio is an embedded enterprise initiative hosted by the School of Computing and Mathematics and sponsored by the Faculty of Science and Technology, Plymouth University. The Studio team deliver core modules for our undergraduate degree program BSc (Hons) Computing & Games Development. We are members of TIGA and are actively involved in the South West games sector through Explay boot camps, game jams, game hacks and developer meet ups. We also make casual, indie and serious games! At UWE Bristol we believe in the power of partnerships and we are at the heart of some truly dynamic and engaging collaborations that have a real impact on the world around us. Our BSc(Hons) Games Technology course, accredited by the British Computer Society, is delivered by industry experts who fully prepare our students for success in their future careers. The courses refreshed curriculum is designed to apply game concepts and techniques within the context of dedicated console devices and associated software development technologies. Graduates of the course are working in companies ranging from market leaders RockStar, Sony Computer Entertainment and Sports Interactive, to local developers Fluffy Logic and Mobile Pie. PEER 1 Hosting is built for the speed and reliability that even the most complex online gaming titles demand, irrespective of gaming platform. The company has worked with the world's biggest game publisher to deliver their games to their customers in any situation. The result: a smooth, fast and entirely immersive experience for the user, uninterrupted by latency or downtime. The network carries only their own hosting traffic, so data never has to fight telecom clutter. Rather, the infrastructure proactively re-routes traffic to avoid the latencies that interrupt or distract from the gaming experience. 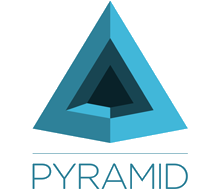 Pyramid are of the UK's leading audio visual solutions providers. Pyramid prides itself on delivering the best solutions for awards ceremonies, conferences or roadshows. Our skilled team of production and event staff has a range of creative solutions and ideas to make your event run smoothly, with maximum impact and value for money. Our offices are in London, Devon & Cornwall, and we work across Europe on a regular basis meaning you can rely on our extensive coverage. As one of only four remaining further and higher specialist art and design colleges in the country, Plymouth College of Art offers an enjoyable and safe learning environment producing high quality Art, Design and Media work which embraces both traditional and the most up to date technologies. On the Design for Games programmes, students learn about the indie games and commercial entertainment industry and we equip them to find career openings, but the programme takes a much wider cultural view. It recognises that games technology is being put to a huge range of purposes, for example in education, medical simulation and architecture, and is informing the spread of new ideas about social and democratic design. We teach the complete design chain from drawing on paper to developments in Photoshop, to making 3D models and adding texture and rig, as well as sound production, narrative structure and character development. The reality of the games producing world is built into everything we do. Formation Zone is an initiative from the University of Plymouth to support the development of businesses in the creative industries. An open, accessible and exciting place, clients benefit from a workspace within the Roland Levinsky Building, a professional meeting environment, practical business support and more. If you have the ideas, passion and energy, we'll help you do the rest. Bath & North East Somerset Council is sponsoring the gaming industry festival Explay in recognition of the area being a hot spot for the knowledge, creative, and digital sectors. Councillor Cherry Beath (Lib-Dem, Combe Down), Cabinet Member for Sustainable Development, said, "Innovative, new companies are increasingly becoming part of the lifeblood of our area and Bath & North East Somerset Council is playing a strong role in supporting them to develop." The area is one most creative places in the South West, with over 1000 creative companies, and a higher proportion of digital companies than Bristol and the South West. Bath's world class universities, existing major international digital companies and the highest proportion of professional business services as a percentage of all our businesses among the 15 principle authority areas in the South West has led Nesta – the independent charity dedicated to bringing great ideas to life – to cite Bath as one the UK's 10 hotspots to invest in innovation.